The Status SEM162D is a dual channel duct mounted humidity transmitter. The SEM162D can measure the humidity, temperature, dew point or delta t.
The dual channel output can output the humidity value as well as the temperature value to two 4 – 20 mA output signals. The SEM162D is easily configurable via the on-board USB connectivity and free to download and use software. Features of the software include tagging of the transmitter, set the installation date and configure the output type and range. 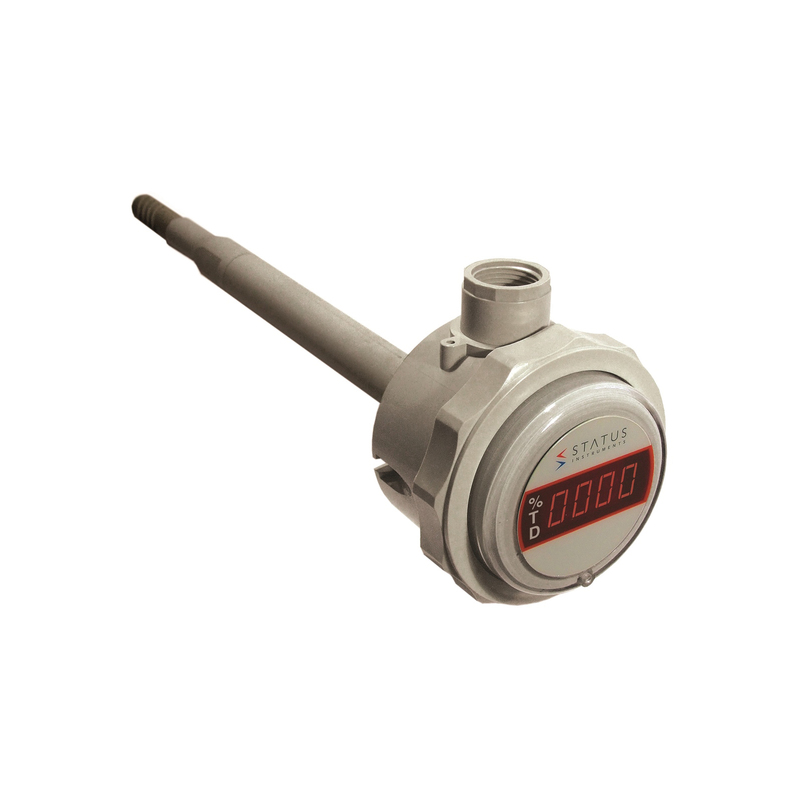 The SEM 162D has an optional display to view the process variable, it is a 4 digit LED display and may be set to indicate either humidity, temperature, dew point or toggle between all three parameters. Duct mounted humidity transmitters are available in 120mm, 250mm or 530mm sizes. The SEM 161 Series can also be ordered for wall or remote sensor mounting. Default setting is 0 to 100% RH.